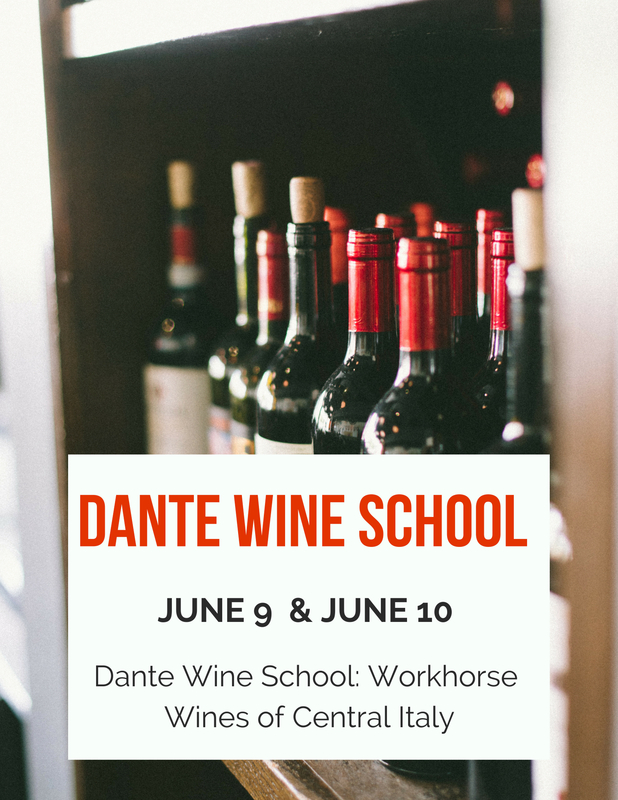 Join Dante for our Wine School this June! When considering wine from Central Italy, Brunello and Chianti—two of Italy’s most famous (or even infamous) wines—most certainly come to mind. At the next Dante Wine School, we are going to explore some of Central Italy’s lesser-known daily drinkers. Montepulciano d’Abruzzo, Trebbiano di Toscana and Verdicchio from the eastern region of Marche are just a few of the workhorse wines that you’ll find regularly on Italian tables. Join Dante Sommelier Adam Weber in June to discover the regions, producers and flavors of these fantastic—and affordable—wines.